Who says wisdom comes with age? 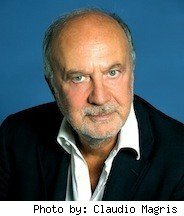 A 73-year-old Italian theater director is suing a much-younger dancer for nearly $2 million, alleging that the 27-year-old faked a romance with him so that he would buy her a swanky $775,000 New York City apartment. The director, Antonio Calenda (pictured at left), reportedly met Natasha Diamond-Walker (shown above), who performs with the Martha Graham Dance Company, when they were working on a project together in Italy last year. 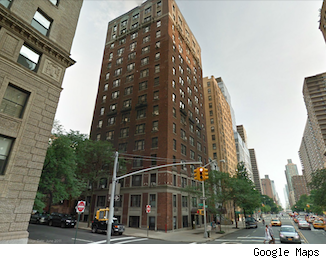 The lawsuit alleges that Calenda offered to loan the dancer money to purchase the luxury apartment in Manhattan's Upper West Side. As a gift, he offered the loan to her at no interest, but it was to be paid off by December 2018. However, according to the suit, after Diamond-Walker closed on the apartment, she abruptly ended the relationship. The lawsuit also contends that she "declared her intention to never repay the loan, as she viewed the entire transaction as a 'gift.' "
"She manipulated our client and took advantage of him to finance her purchase of a luxury Manhattan apartment," Calenda's lawyer, Marc Fitapelli, told New York's Daily News. "She never had any intentions to repay our client, and she abruptly severed their relationship as soon as she got what she wanted." Calenda is demanding that Diamond-Walker pay back the entire amount of the loan plus interest -- approximately $800,000 -- as well as an additional $1 million in punitive damages. He also wants the loan to officially be declared a mortgage, and he wants to take a lien on the 795-square-foot apartment. LaRue Allen, executive director of the Martha Graham troupe, said that she doesn't view the legal wrangling as a matter for the dance company. "They had a personal relationship.... They're both adults," Allen told the Daily News. "Things don't always have a way of working out." Reality TV star Kristin Cavallari's family home in Laguna Beach, Calif., was foreclosed on earlier this year, according to public records. See more photos of the 7,100-square-foot estate on Zillow. Last July, Crain's Chicago Business reported that R&B singer R. Kelly faced a $2.9 million foreclosure lawsuit on his mansion in Olympia Fields, Ill. The complaint said that Kelly hadn't paid his mortgage in over a year. See the rest of the story on Zillow. Actor Nicolas Cage got in trouble with the IRS in 2009 when it put a lien on some of his properties to make up for the $6 million that he owed on purchases made in 2007. His $35 million Tudor Mansion in Bel Air sold in foreclosure for just $10.5 million. See more on AOL Real Estate about homes sold by Nicolas Cage at a loss. Comedian/actor Chris Tucker got caught big-time in the housing crisis. A central Florida lakefront house that he purchased for $6 million in 2007 -- right before the housing market crashed -- was appraised at just $1.6 million in 2011. The bank claimed that he owed more than $4.4 million on the home, putting his mortgage seriously underwater. Read more on AOL Real Estate about Chris Tucker's foreclosure crisis. In September 2010, Grammy winner Toni Braxton filed for bankruptcy. She owed over $50 million, but her assets only totaled $10 million. To make up some of the debt, her $2.6 million home in Nevada was sold in foreclosure for a little more than $1 million. Read more on AOL Real Estate about Toni Braxton's financial troubles. Former NFL star Terrel Owens is having a bad year when it comes to real estate. In May, he faced foreclosure on a condo that he owned in Sunny Isles Beach, Fla., because he had stopped paying his mortgage in the fall of 2011. Earlier in 2012, two of his Dallas properties fell into foreclosure. Read more about Terrell Owens' many foreclosed properties on AOL Real Estate. NBA legend Julius Erving (aka Dr. J) defaulted on his mortgage for his 6,572-square-foot home in St. George, Utah, and faced foreclosure in 2010. Recent property records show that as of March 2012, he no longer owns the home. See more photos on AOL Real Estate of Erving's customized home. In 2010, Mel Gibson was sued by the construction company that built three of his properties in Malibu, Calif. According to TMZ, Ramage Construction was asking for around $12,000, but, as an alternative, it also asked for permission to foreclose on the homes to satisfy the debt. Gibson listed one of the houses in 2011, so it is likely that he settled the debt and was not foreclosed on. The house is no longer on the market. Read more on Zillow about Mel Gibson's legal trouble.